This year, forget about the candles, perfume and kitchen utensils. 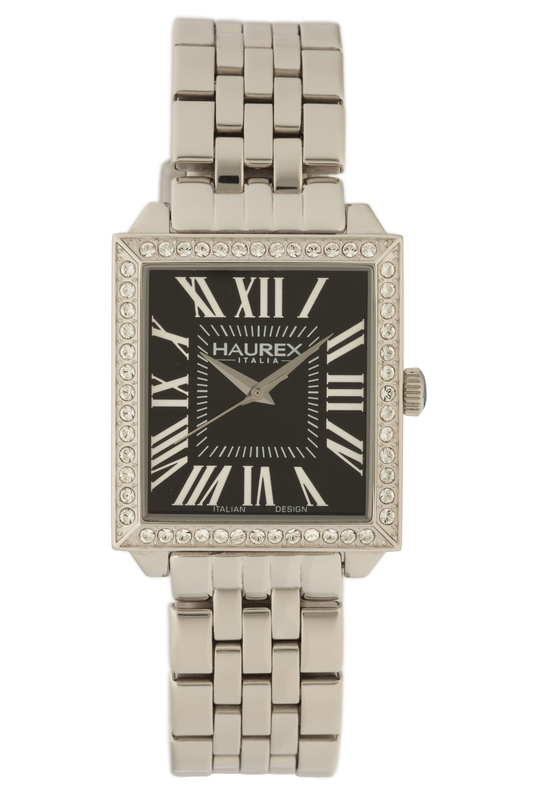 Give Mom something she’ll really appreciate: a fine timepiece. Watches have become this year’s “must have” fashion accessory, and there are so many exciting styles available that you’re sure to find something that matches your Mom’s personal taste. Now that the new Spring Collections have arrived in stores, there’s never been a better time to look for that “perfect” watch. A good place to start is with the selections shown here. Each of these fine timepieces is something that any Mom would be proud to wear. And there’s a good chance that one of them will look perfect on your Mom’s wrist. Are you looking for something elegant, romantic and affordable? 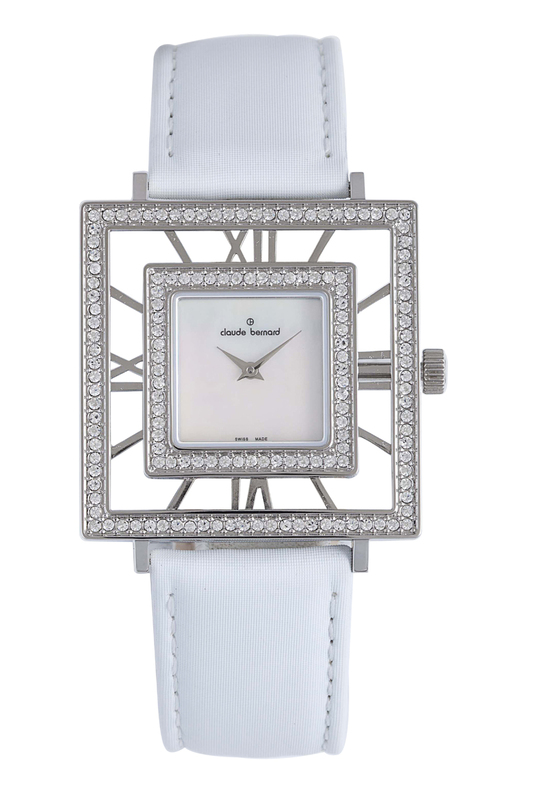 Claude Bernard has a spectacular square ladies’ dress watch featuring a white satin band and two rows of sparkling crystals. For a modern dress look, you’ll want to consider the stunning Johan Eric Tondor Tonneau model with an integrated metal mesh band and rose gold bezel attached with 12 screws. 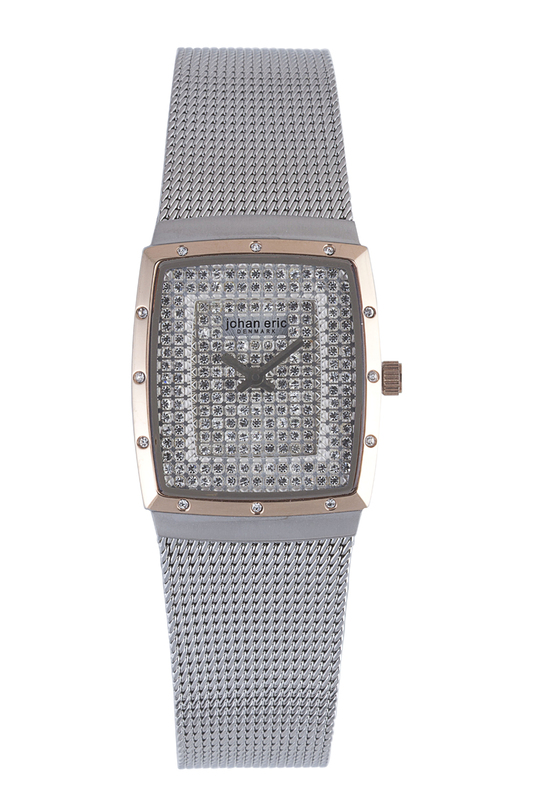 The dial of this beautiful watch is completely covered with pavé crystals for a refined, feminine appearance. 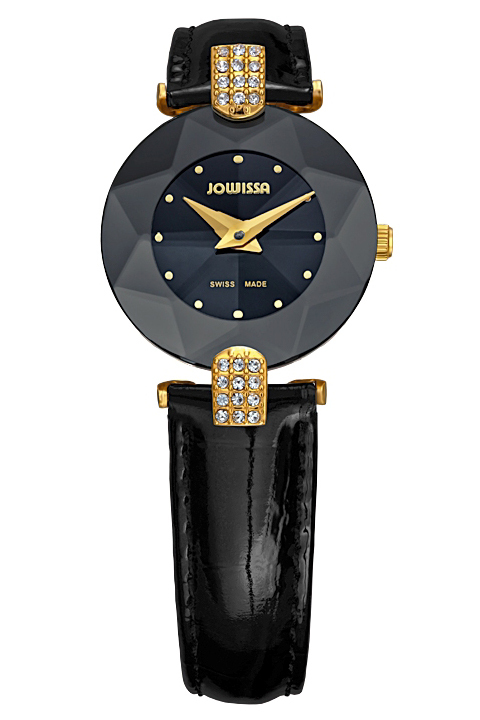 For an even dressier look, there’s the fashion forward black Jowissa model featuring specially designed lugs encrusted with 24 brilliant crystals. This beautiful two-hand style watch comes with a padded, genuine leather band and is perfect for Mom’s dressiest occasions. 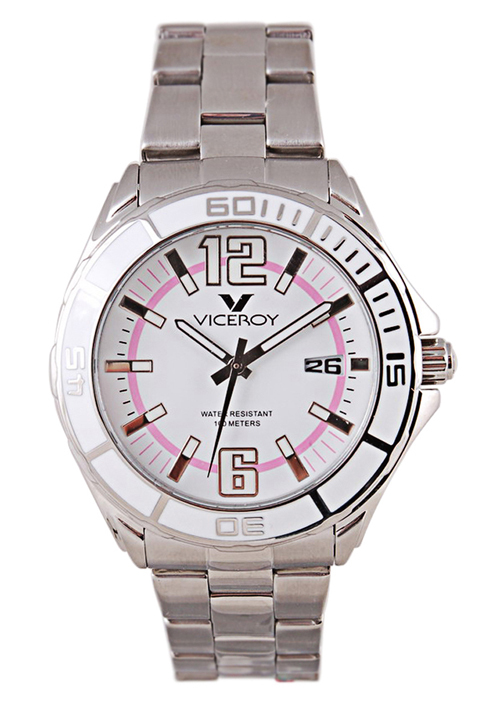 Viceroy makes an attractive diver style watch with a polished stainless steel rotating bezel and matching bracelet. 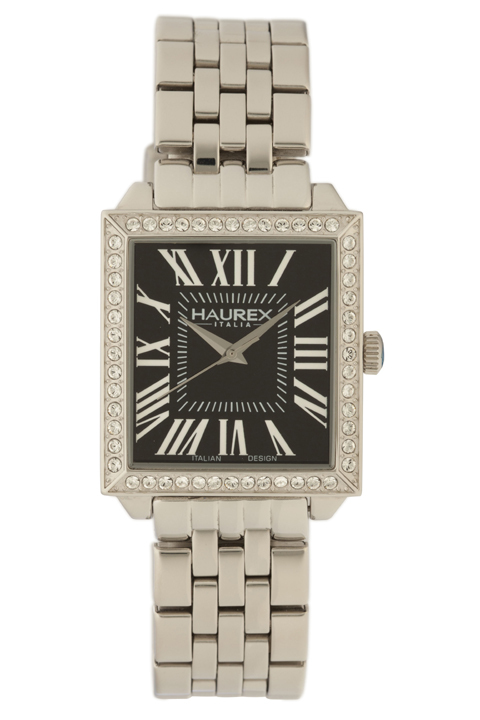 If Mom likes something more formal, she’ll love the Italian designed Haurex Italia. This rectangular ladies’ timepiece features a bezel studded with brilliant crystals and a stunning black dial with white Roman numbers. An integrated stainless steel bracelet completes the look. 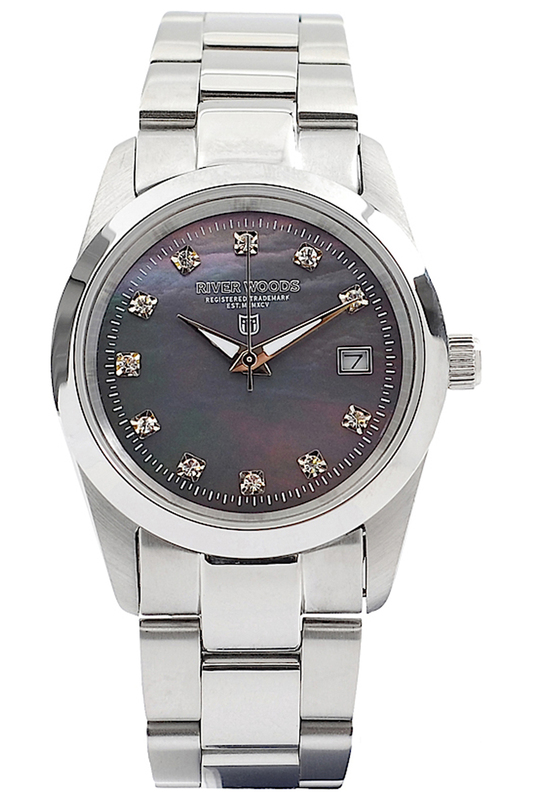 River Woods also makes a classically styled ladies’ watch with a beautiful black dial that’s set with sparkling crystal indices. Moms who deserve the very best can’t go wrong with Versace. 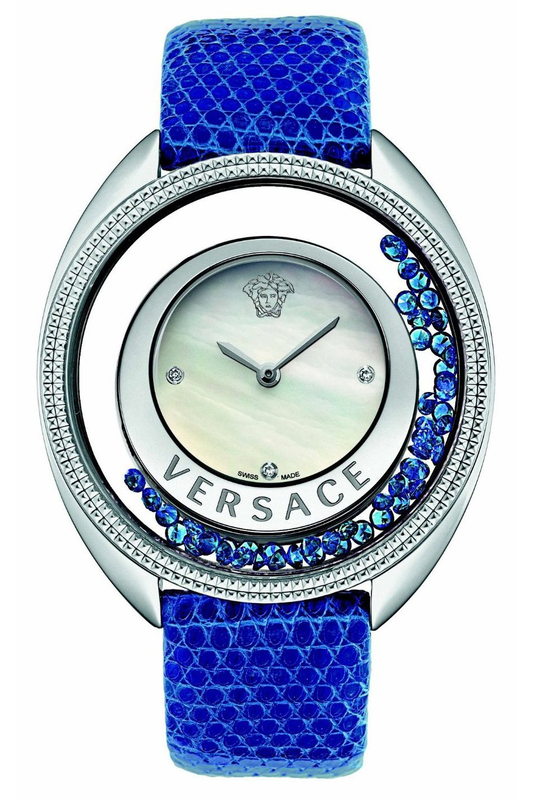 The Versace Destiny watch shown here features blue sapphires that are free to float around the transparent chapter ring. The watch has a beautiful mother of pearl dial with diamond indices and is fitted with a matching blue lizard leather strap. This innovative design is a true masterpiece and would be the gift of a lifetime for some lucky Mom. A fine watch makes a fabulous gift. 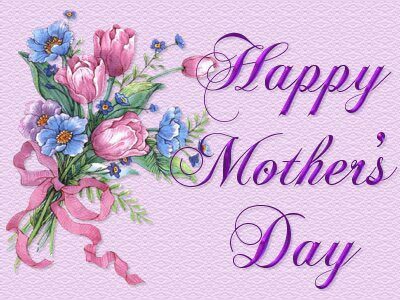 Don’t forget Mom on her special day. Look for a timepiece today that matches your own Mom’s unique personality and style. Mother’s Day is coming soon, so find a watch retailer near you and don’t let yourself run out of time. For help with your decision or with making your purchase, contact Maria by email or call her at 845-425-9882. Gevril Group, directed by company founder and long-time creative force in the watch business Samuel Friedmann, is the exclusive US representative for select European watch brands, distributing and servicing luxury, fashion and sporty timepieces at a wide range of price points. Additionally, Gevril Group operates a full-service watch repair department staffed by master Swiss watchmakers. Contact Maria, Customer Service Representative, by email or call her at 845-425-9882. Please subscribe to the Gevril Group newsletter and blog updates.